The Seventh Annual Wheatley School Alumni Association NYC Lunch - January 28, 2019: Details in Newsletter #30. 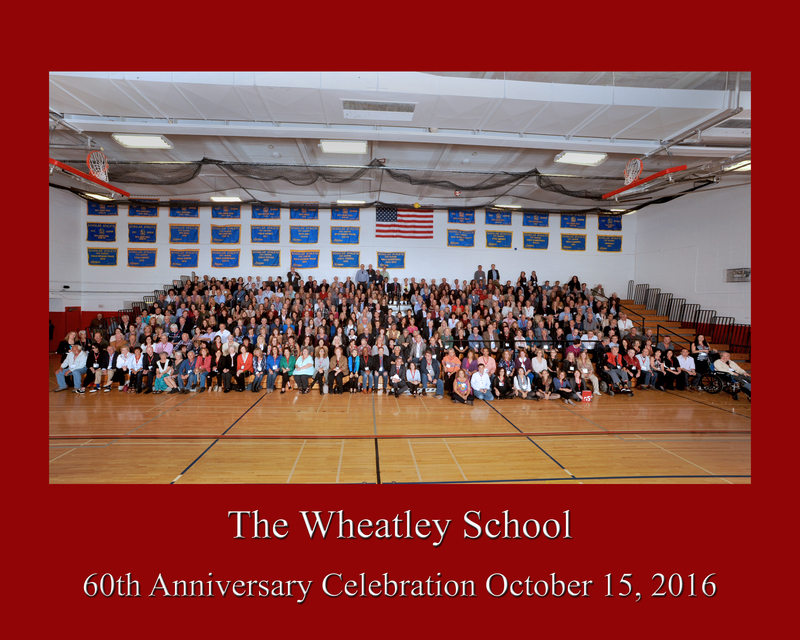 Click on the picture below for a report of the School's 60th Anniversary. The Wheatley School Alumni Association acts as a clearinghouse and conduit for alumni contact information and news of general interest to The Wheatley School, Old Westbury, NY, community. Its goals are to locate and keep track of all alumni and to foster communication amongst alumni and between alumni and other members of the Wheatley community. Contact information is kept in a semi-confidential database, provided only to the classmate(s) of that person appointed by the Association as the Class Correspondent(s). ; It is not for any commercial purposes or provided to any other person or group. The Association aims to facilitate the holding of reunions and other alumni events; to foster the free, instantaneous, environmentally-correct and non-intrusive distribution of information of general interest; and to allow alumni to re-connect. The Association does not have any officers, dues, or independent legal existence. Its e-mail address is WheatleyAlumni@aol.com. Membership includes all persons who attended The Wheatley School who have not affirmatively opted-out. In June of 2007, Art Engoron, 1967, founded the association with the help of Ken Distler, 1966, former Webmaster. If you have issues with the current site, please inform us.